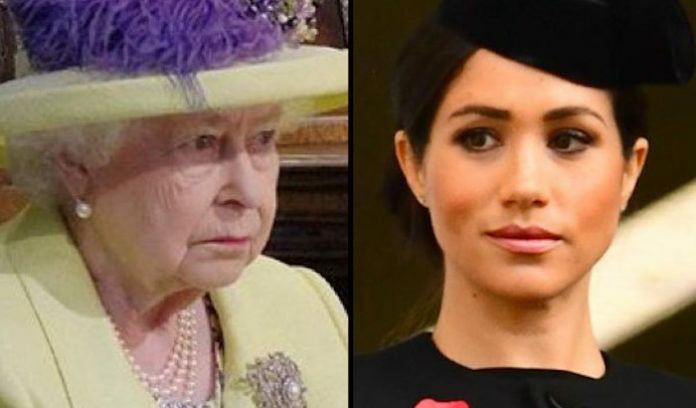 Meghan Markle has been caught raising money for a known Islamic terror organization, causing a PR nightmare for Buckingham Palace. In a massive blunder, the American-born Duchess of Sussex recently began promoting a program associated with the notorious Al-Manaar mosque not far from Kensington Palace. The mosque has produced nineteen terrorists — including “Jihadi John” and his Islamic State “Beatles” who tortured and beheaded Western captives in Syria. Markle raised over $250,000 for the Hubb Community Kitchen operated out of the mosque by promoting a cookbook. The premise of the book was to benefit the survivors of the Grenfell Tower fire. However, that is not what happened. Madworldnews.com reports: Meghan Markle made up to four secret visits to the Al-Manaar Mosque in West London to meet with survivors and relatives of victims of the inferno. Making secret visits to mosques known to have supported 19 terrorists that beheaded Americans and killed British citizens is not something a representative of the United Kingdom should do. It only gives credence to the fact Meghan is running around doing whatever she deems necessary to polish her brand as a Diana-like humanitarian, but she gets it all wrong. “Jihadi John” Emwazi was responsible for the beheading of American journalists Steven Sotloff and James Foley, and British aid workers David Haines, Alan Henning, and Peter Kassig. It’s no wonder the Queen just banished Meghan from Kensington Palace. British citizens are outraged, and rightly so. An ITV News report earlier this week reported that the duchess has made numerous unreported visits to the notorious mosque in recent months. But there’s more. An earlier report by David Vance noted that the convicted 7/21 bombers, who attempted to launch a series of bombings across London just two weeks after the 7/7 bombings in 2005 that killed 52 innocent civilians, also attended the mosque. In damage control, the palace has tried to clean up Meghan’s huge mistake. The Sun reported last week that Kensington Palace was trying to distance Markle from the mosque, claiming that the community kitchen housed in the mosque is an independent project. The simple truth is that royal officials didn’t decide to promote this scheme. The line “Meghan gets what Meghan wants” is the infamous words apparently uttered by Harry in the lead-up to their wedding. It also explains the big problem that is Meghan Markle. Reports from palace staff are “Hurricane Meghan” wakes at 5:00 am every day “rain or shine” and texts staff members a lot with ideas, and sometimes those ideas have very real consequences.